Fostering a respect for the water within your child is essential to keeping them safe in aquatic situations. Many young children and toddlers love the water and enjoy playing in the cool waves, but pools, ponds, creeks and other bodies of water can be extremely dangerous. In fact, drowning is the second most common cause of death in children who are between the ages of 1 and 14. 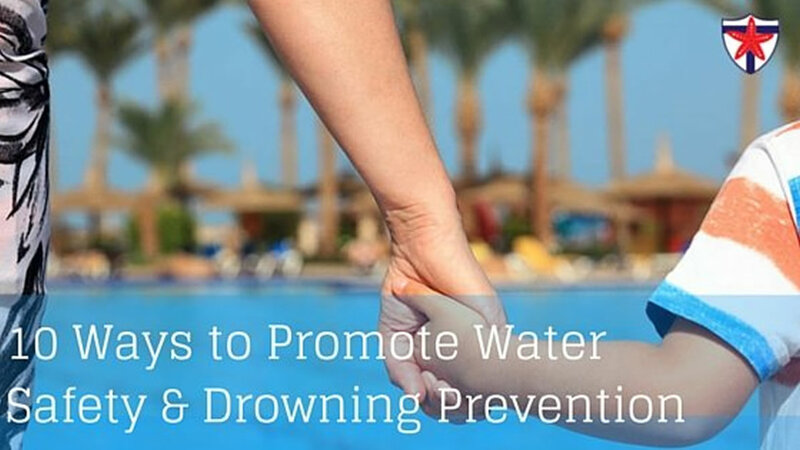 As a parent, promoting water safety and drowning prevention should be a top priority. In the overwhelming majority of drowning accidents, parents or other adults are present. Tragically, just because adults are all around the pool does not mean that they are actively watching the children who are swimming. It is critical that children are closely supervised while they are enjoying water activities. Knowing how to perform CPR and administer basic first aid could save lives in emergency situations. There are times when even the most experienced swimmers get into trouble while they are in the water. Commit to staying up to date on CPR policies and procedures, and educate yourself in basic first aid skills. If you do not know how to swim, you should not supervise children who are in a pool or another body of water. You can learn this essential skill at your local swim academy. This will both benefit you and help promote water safety while your children are swimming. Knowing how to swim is an essential life skill that is both enjoyable and useful. Learning to swim at an early age could save your child’s life by preventing them from drowning. Some areas require that pools have an adequate fence enclosing the facility, while others leave it up to the owner of the pool. Many children who drown do so after wandering into the pool area and accidentally falling in. This can be prevented by simply installing a strong fence that will keep curious children out of the pool area. Be sure to keep a first aid kit, life ring, ropes and a working phone in your pool area that can be used during an emergency situation. Be aware of drains in your pool, hot tub or other water filled amenities that could pull children in and entrap them beneath the surface. Drain covers should be used. Children often fall into a pool because they are trying to retrieve a toy that was left behind in the water. Each time that you go to leave the pool, be sure to thoroughly check for toys and put them away. Even if your child is a good swimmer, you should never allow them to swim by themselves. Encourage your child to swim with a buddy or sibling, and be sure to supervise. It is all fun and games until someone gets hurt. Pushing others into the water or holding someone beneath the surface could be very dangerous and have serious consequences. Talk with your children about proper behavior while they are swimming, and discourage any horseplay that could lead to an injury. Promoting water safety could prevent drownings for children and adults alike. For more information about teaching your child to swim, visit our programs page or contact a representative with the Texas Swim Academy today.